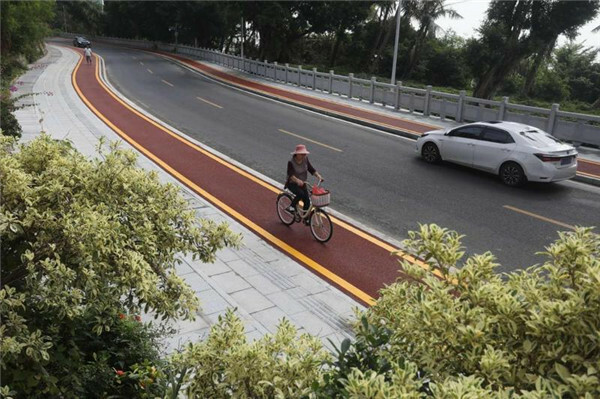 Shuiwan Road, which winds among the hills of Xiangzhou District, is now ideal for cycling due to the addition of a pair of slow-traffic passageways. 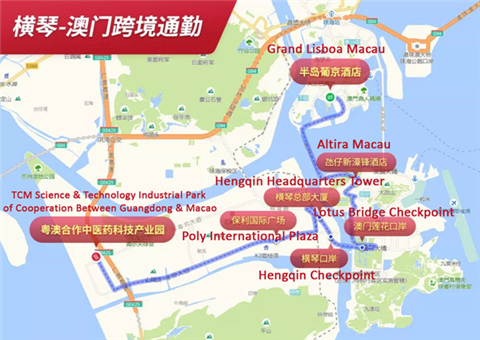 Paved with red asphalt and outlined in yellow, the non-motor-vehicle lanes run northwest from Changsheng Road near Gongbei Port to Shuiwantou alongside the motor lanes for 2.4 km (1.5 miles). 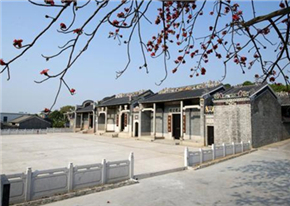 Cyclists can enjoy the unique transition from busy Bar Street (on Shuiwan Road) in Gongbei to the tranquil and picturesque Jiangjun Mt nearby. 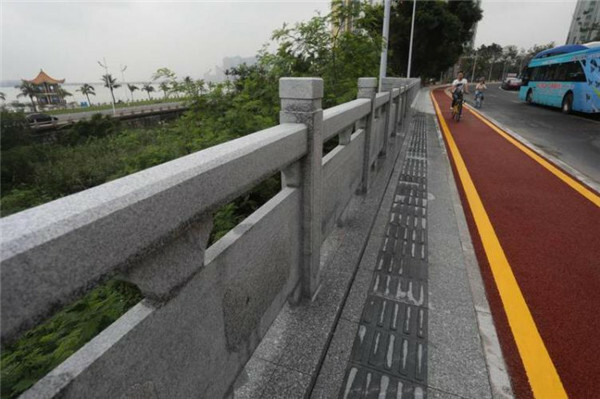 Overseen by the Transportation Bureau, the upgrade is part of a project to both beautify and improve safety standards on popular Zhuhai urban routes. Thirty-eight roads, totaling 63.7 km (39.6 miles) in length, are slated for reworking. 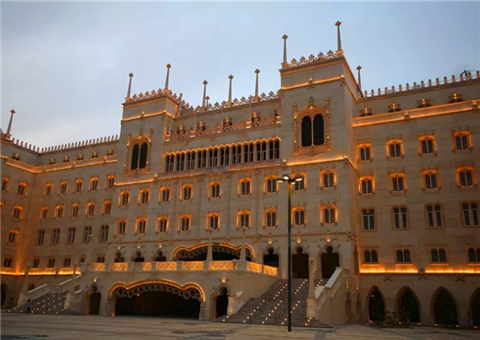 According to the developer, Zhuhai Urban Construction Real Estate Development Co, the project is due for completion by the end of this month.